Over the past year, I’ve had the good fortune to become involved with two organizations making significant educational and policy-based contributions toward a reduction in Greenhouse Gas Emissions (GHGe). One of those organizations is Citizens Climate Lobby (CCL), and the other is The Climate Reality Project. A broad-based national constituency for climate action, The Citizens’ Climate Lobby (CCL) is a non-profit, non-partisan, grassroots advocacy organization focused on national policies to address climate change. 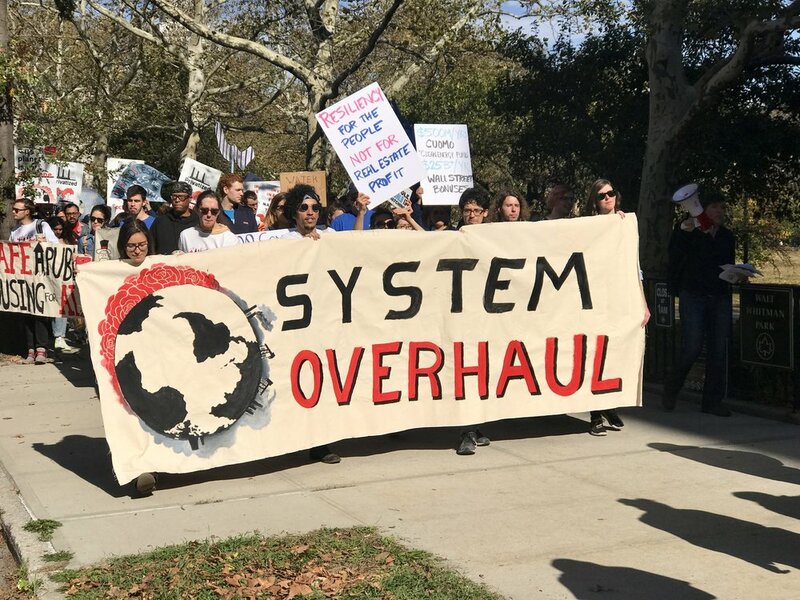 The CCL’s respectful, non-partisan approach to climate education is designed to create a broad, sustainable foundation for climate action across all geographic regions and political inclinations. By building upon shared values rather than partisan divides, and empowering supporters to work in keeping with the concerns of their local communities, CCL volunteers work towards the adoption of fair, effective, and sustainable climate change solutions, the most primary being the passage of a carbon fee and dividend proposal. Several times each year, The Climate Reality Project brings together a diverse group of passionate individuals including cultural leaders, organizers, scientists, and storytellers to attend “Climate Reality Leadership” training. Training events are hosted all over the globe, and are attended by a thousand people and more. Although applicants pay their own travel and lodging, training costs are underwritten and free to participants. Led by former Vice-President Al Gore, current Climate Reality CEO Ken Burns, and a very capable and energetic staff, participants hear from a number of political and policy leaders, sustainability experts and renown climate scientists. Participants leave with full access highly vetted and copyrighted material they can use to lead and educate others about the climate crisis. No matter what one's level of experience in climate change work, Climate Reality Leadership training is an invigorating and challenging way to deepen one's capacity for activism. Interestingly, Climate Reality recently rolled out a carbon pricing campaign. The congruence in policy focus between these two large organizations is no accident. Carbon pricing is a widely accepted idea among many economists for creating a predictable market-based mechanism that will accelerate a decrease in global carbon emissions. Serious students of climate-science know that the world must accelerate the transition to a clean energy economy if we are going to have any chance at preventing significant economic losses through decreased agricultural yields, sea level rise, increased temperature spikes, melting ice caps, floods, droughts and other extreme weather events such as hurricanes. Every day our situation is more urgent than the day before. Simply put, until we significantly slow down our carbon emissions, we are in danger of running out of time. To understand how critical it is that we reduce carbon emissions, it's useful to think about carbon budgeting. In Paris in 2015, negotiators adopted 2 degrees centigrade (2C) as the uppermost limit for global temperature change to avoid destabilizing both natural ecosystems and human civilization at a catastrophic level. And, in a desire to avoid disruption at a less risky level, the Paris Agreement also included an aspirational goal among participating countries to limit warming to 1.5C. However, the most powerful aspect of the 2C goal is not its scientific veracity, but its simplicity as an organizing principle. What the 2C threshold lacks in nuanced predictability, it more than makes up as a goal that is understandable, measurable and may still be achievable (although to stay below that threshold our actions will need to change quickly). Although a 2C goal is a blunt instrument with many shortcomings, its ability to inspire 195 countries to sign an agreement should not be discounted. In other words, we should do everything we can to honor that threshold. We may not get many more chances. The measurement for a 2C world corresponds directly to the amount of GHG emissions (e) we put into the atmosphere. And since CO2 is the most ubiquitous GHG, we can quantify our problem with emissions by directly measuring CO2e. Simply put, most climate scientists agree that our atmosphere can tolerate about 2 trillion, 900 billion tons/CO2e before we exceed the 2C benchmark and put ourselves in danger of catastrophic change. Since 1870, we have emitted 2 trillion, 156 billion tons/CO2e, which is almost 75% of all allowable CO2e to meet the IPCC 2C limit for emissions. Essentially we can emit approximately 744 billion more tons of CO2. Last year the world emitted 40 billion tons of CO2e (a slight uptick from the previous three years, which were flat at about 37 billion tons). That means that every day, the world dumps 110 millions tons of carbon into the atmosphere. The numbers above illuminate the urgency of our situation. We have a lot to accomplish in a short time, and the stakes could not be higher. I believe we can start by making ourselves more carbon literate. The math is straightforward, and we need to bear in mind the following reality: Assuming we continue to emit at current rates, we will reach the 2C benchmark in about 18 years (by 2036, at the time I am writing this). I recently had the good fortune to hear a presentation by Arnaud Brohe, US CEO of CO2logic. This company helps other companies and organizations calculate, reduce and offset CO2 emissions. Their approach to lowering GHGe uses the following steps. The simple steps above can be applied at any level of carbon accounting, whether they are individual, organizational, institutional, corporate, or governmental. No matter how we approach carbon emissions, we can apply these four steps to manage and reduce emissions. On the individual level, we can calculate, reduce and offset. However, at institutional, corporate and governmental levels of action, carbon pricing may also be an option. According to the Union for Concerned Scientists (UCS), the average American emits approximately 18 tons of CO2 annually (about 3000 lbs of carbon a month). Of course, this is an average figure and there is lots of variation. But it's useful for estimating one's contribution to our collective problem. There are many excellent carbon footprint calculators around. One of the most useful is carbonfootprint.com. Although many institutions and corporations offset their carbon emissions, some fail to market that fact for fear of antagonizing their customer base. In fact, the largest single corporate buyer for carbon offsets globally in 2016 was Exxon Mobil (a subject for another post). But individuals can use offsets as well. In fact, not only are carbon offsets an important step in the development and understanding of carbon pricing programs, they are an underutilized opportunity for wealthy individuals in the developed world who wish to help mitigate the problems their wealth (and related carbon emissions) has caused the world at large. In 2016, 64 million tons of CO2e were offset through voluntary carbon markets. The cost of those offsets averaged about $10/ton in the retail market, which means that the average American can offset his carbon footprint for as little as $180/year. Offsets have been around for several decades, and have earned a reputation for being fraudulent at worse, and only effective as a net-zero application at best. While net-zero offsets as a strategy are still problematic, they are no longer the only offset product available. It is now possible to purchase many different kinds of products that directly lower emissions. In addition, widespread corruption concerns are no longer applicable if one buys offsets verified by a well known third party. Some of the better-known verification standards are listed below. The following companies offer offsets for individuals, organizations, and businesses that are well vetted and productive. There are many more. Perhaps most striking on the list above are the carbon offsets that can now be purchased through Amazon.com. Although skeptical about the product when it was first introduced, I have come to appreciate that Carby Box brings the complex world of “Voluntary Carbon Markets” directly into our living rooms. Carby Box’s partner Wildlife Works uses a form of offset called Reduced Emissions from Deforestation and Forest Degradation (REDD+) that, at best, neutralizes one’s carbon emissions but doesn’t drive down CO2 aggregate amounts. In that way, the offsets are net-zero but not net-minus. Even so, it makes sense to me that if one can afford to neutralize ones’ carbon footprint when carbon emissions cannot be avoided any other way, then this has an immediate value. It isn’t a free pass to pollute, and it doesn't absolve us from our carbon footprint on the future, but it does make a bad situation slightly less bad than it might be otherwise. In 2016, offsets came from REDD+, but also from wind, landfill methane projects, community-focused energy efficiency, and clean cookstove projects. It’s important to note that many offset buyers (including individuals, corporations, and governments) chose projects for community-based economic benefits as much as emission offsetting properties. And, as best as I can tell, this is a virtue of the Carby Box Wildlife Works offset product. Of course, in a year when the world emitted 37 billion metric tons of CO2, 63.4 million tons of carbon is close to negligible. But giving up is not an option. Plus, there are several other good reasons for supporting carbon reduction and offset programs. Many, although not all, of the programs are based in underdeveloped countries who are the least responsible for having created the climate crisis. So those of us who can afford it may want to support offsets in countries that didn’t create the problem in the first place for moral reasons. That’s a win-win. There’s one last reason for supporting offset programs. Thinking about our carbon footprint challenges us to develop carbon literacy. It’s interesting to compare average individual carbon emissions from country to country, just as it’s interesting to compare the total output of carbon emissions from country to country. This drive questions. Who are the bad actors? Who does the most for our collective “tragedy of the commons”? What are the obligations of high carbon emitters to low carbon emitters? To what extent are we personally responsible? And what can we do personally, and as consumers and citizens, to mobilize change? If we pay attention, we will realize that carbon has a price. The highest price of carbon may be the loss of the human species -- or at least the loss of civilization as we know it. But maybe we can forestall those prices by installing something much less expensive. How about pricing carbon at the point of sale at $40/ton the first year, and then increase it $10/ton for a decade, while the collected fees are and redistributed back to citizens to offset their costs for participating in an urgent reduction in carbon as a new economy develops? The plan above, by the way, comes from the Citizens Climate Lobby (CCL).